Is this, at last, the true face of the Trump administration's foreign policy? US ground troops withdrawn from Syria at short notice; the long-heralded departure of James Mattis - a much respected defence secretary - who can clearly no longer tolerate the president's mercurial approach to security and defence. Now there are reports (as yet unconfirmed) about a partial US pull-out from Afghanistan, where American forces provide the backbone of the train-and-assist effort that is helping the Afghan security forces in their faltering efforts to contain the Taliban insurgency. In one sense, none of this should be a surprise. US President Donald Trump has long railed against the wars bequeathed to America by his predecessors. White House revolving door: Who's gone? 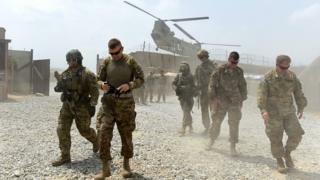 Many analysts question the value of the US troop presence in Syria, just as they point to the inherent problems in seeking to bolster an Afghan government riven by corruption, factional infighting and so on. But to cite the deficiencies of these deployments and to question where they are going or what value they bring is one thing. Simply to up sticks and depart is quite another. Withdrawal, just as much as intervention, requires a game plan, a strategy or framework into which Washington's own actions are placed. And the simple fact is that President Donald Trump does not seem to do strategy. 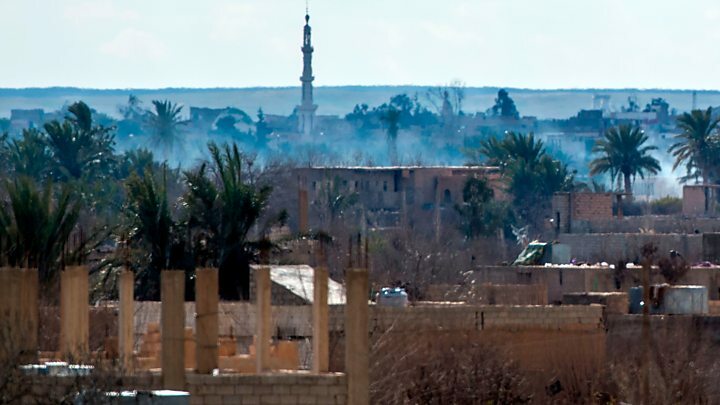 How, for example, does the US withdrawal from Syria fit into any coherent plan either to stabilise the country or to contain the sizeable elements of the Islamic State (IS) group that still remain? How does it help the US to counteract Russia and Iran's rising influence in the region? And what signal does it send to America's allies about its commitment to their security? The departure of Defence Secretary Jim Mattis raises many similar questions. Yes, he resigned, but he had clearly fallen out of favour with Mr Trump weeks ago. He had fought a hard and pragmatic campaign against the president's disdain for Washington's Nato allies. Indeed, despite the rhetoric coming from the White House, US deployments of troops and equipment to Europe have increased significantly on Mr Trump's watch. Mr Trump's Syria withdrawal, of course, leaves Washington's Kurdish allies in a predicament - potentially caught between three fires: that of the Turks who are threatening a further encroachment into northern Syria; the remnants of IS; and the Bashar al-Assad government which also has scores to settle. Many US experts see in Mr Trump's actions a betrayal which will long resonate in the region and beyond. But it is the strategy question that is fundamental. The world is certainly changing. China, a major new power, is rising. Russia, a resurgent player, seeks to return to the world stage and has chosen the Middle East as the first region in which it seeks to flex its muscles. From their rise, other less powerful countries are taking an example, arguing that a market economy can co-exist with an authoritarian form of government. In many cases, this is bolstered by a rising tide of populism. And this extends into the West, afflicting once settled Scandinavia, countries on the main European landmass, and across the Atlantic to the US itself. The linkage of market economics and liberal democracy that seemed to triumph at the end of the Cold War is now on the back foot, having to defend itself from a variety of challenges. America's allies are looking to Washington more than ever for a far-sighted strategy that can help all of them to resist these new challenges. But no coherent strategy is offered. The president tweets, ignores the expert voices in his own administration - and policy changes. But what is to be left behind in Syria, Afghanistan or anywhere else where President Trump's fleeting gaze lands? Let's be clear. The arguments for a continued US presence in Syria or indeed even ultimately in Afghanistan are complex, difficult and by no means always convincing. President Trump's predecessors made many errors along the way. These were situations that went badly wrong. But a precipitous withdrawal may only make matters worse. To the dismay of its friends and allies, the US seems to have no grand strategy for the Middle East. The current balance of power means that it has fewer levers to pull and certainly cannot enforce any settlement in Syria on its own. But Mr Trump appears to be washing his hands and handing the whole job over to Russia, Turkey and Iran. This absence of a strategic approach is reflected in so many other areas too. On climate change and arms control, Mr Trump is at variance with Washington's closest friends. He is ambivalent towards Russia, and his efforts to engage the North Korean leader Kim Jong-un amount to little more than mutual flattery and studied obfuscation of the real issues. After Mr Trump's first year in office, I went to Washington to make a programme looking at what had changed in defence and wider security policy over the past 12 months. Surprisingly, the answer then was very little. Block out the "noise" - the tweets and pronouncements from the White House press room - and it was the Pentagon that seemed to be steering a familiar course. Now though, things have undoubtedly changed. That helmsman - Jim Mattis - is departing. President Trump seems to be charting his own erratic course through an ocean of reefs, rocks and monsters without any strategic map to guide him.